I’m excited for this new release from NIKE. Utilizing the latest technology to combine the Flyknit upper with the Lunarlon sole the Nike Flyknit Lunar1+ will be released next month. More info below. Runners lacing up in preparation for the spring race season won’t make sacrifices. They need a shoe that fits perfectly to take on the miles, has enough structure to feel supportive, offers cushioning for amazing comfort – and sports some style on top of it all. With this inspiration, the lightweight Nike Flyknit Lunar1+ brings the virtually seamless upper using Nike Flyknit technology together with the plush, responsive cushioning of Lunarlon. Since its launch in February 2012, Nike Flyknit technology has redefined the development and creation of footwear with its ability to be engineered to provide a more precise fit for the specific needs of the foot. Support and structure are knitted right into the Nike Flyknit upper, which helps reduce seams, weight and areas of friction and keeps the shoe lightweight. This spring the Nike Flyknit Lunar1+ provides support, flexibility and breathability with a more cushioned midsole – a great solution for everyday runners. 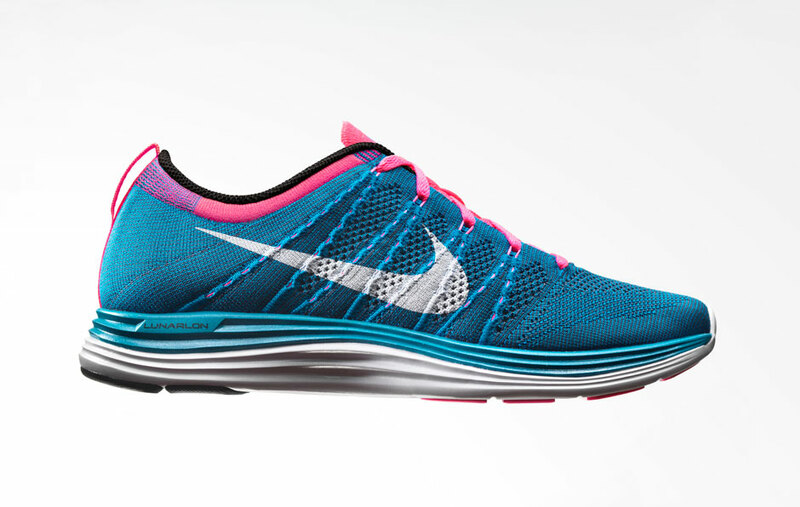 The Nike Flyknit Lunar1+ combines Nike Flyknit with plush, responsive Lunarlon. The resilient foam provides ultra-soft cushioning, and springy response and support. The Nike Flyknit Lunar1+ has a neutral platform that benefits a wide array of runners looking for a responsive and well-cushioned shoe. Strategically placed durable rubber inserts in the outsole deliver maximum impact protection in key areas on the heel and forefoot. The upper incorporates dynamic Nike Flywire, adaptive support that tightens and relaxes to accommodate the natural motion of the foot. Nike Flyknit construction also eliminates the need for the multiple materials and material cuts used in the uppers of traditional sport footwear manufacturing. This revolutionary construction reduces waste by an average of 80 percent in the Nike Flyknit Lunar1+ when compared to typical Nike running footwear. Nike Flyknit was created for performance in world-class marathon events, and many elite runners have crossed the finish line in the Nike Flyknit Racer, part of the first Nike Flyknit collection. The Nike Flyknit Lunar1+ expands the franchise to the everyday runner, offering a bright color palette to make sure runners look as great as they feel on the road. 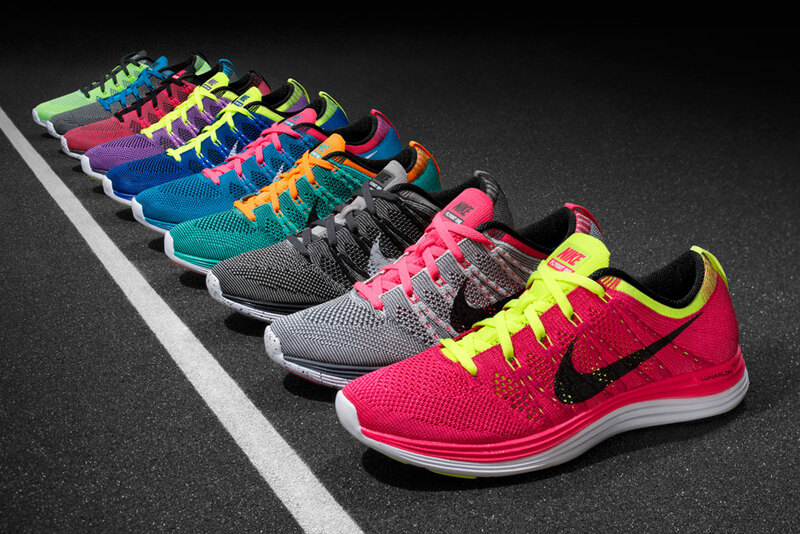 The Nike Flyknit Lunar1+ will be available beginning in February. Who’s In Store: Kyle & Co.
Battle of the Evo’s! & The Scandal!